I must have been four. It was the year before I started kindergarten, and my brother was already in the fourth grade. We were living in Chicago at the time, in a four-unit flat, with two apartments downstairs, and two upstairs. There was a dimly-lit, communal hallway with a staircase that led to the upstairs unit in the building. One night my brother woke up in the middle of the night, yelling for my mother. He said, voice quivering, that a tall, slender women with a scar on her face was in his room. She had a scratchy voice, and was cloaked in black. He said he couldn’t move, as she told him that walking out the front door would cause him to meet an untimely demise. My mom, who at the time was a devout Catholic, retrieved a small bottle of holy water, which she kept in her closet. She sprinkled some in his room, and then opened the front door, without stepping out. She sprinkled the water outside of the door, and prayed for a long time. My father woke up to see what was going on, and he happened upon his two kids and his wife, huddled by the door, praying. When my brother told him what had happened, I remember my father reciting el nass, and el falaq, before making us go to bed. The next morning, my mom tried to wake my brother up for school, and he insisted that he didn’t want to go to school. He was afraid he would never come home again. Later that day, we learned the older gentleman who lived upstairs had passed away. I don’t remember what he did for a living, but I remember he always went to work early, because I would hear his footsteps through the ceiling, as he got ready. 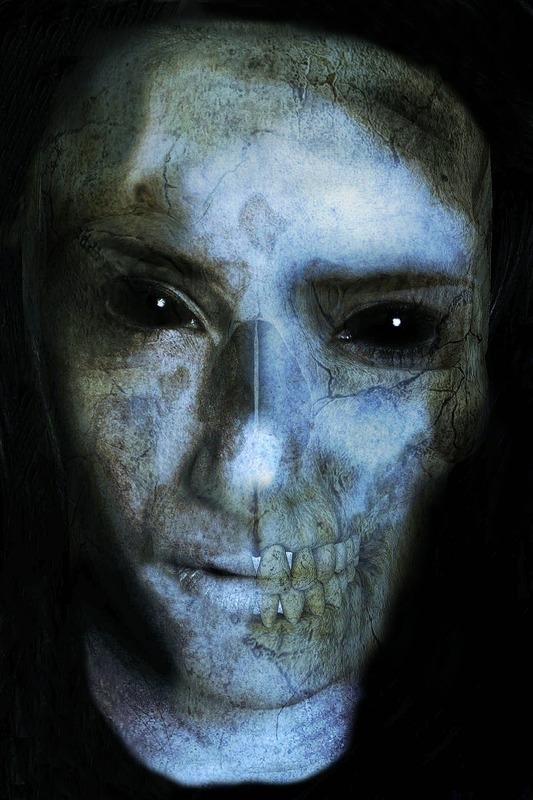 That night, as my brother was falling asleep, the lady with the scar on her face came back. Again, my brother claimed he couldn’t move, as she told him, “You see? I told you not to go into the hall, and you listened. The old man upstairs did not listen.” And just like that, she was gone. Just so you know, my brother did end up leaving the house the second day he was told not to. After the kids from the neighborhood got home from school, he left to play kickball in the streets with them. What he thought would be an uneventful afternoon of play ended with a trip to the emergency room, and 13 stitches on his forehead. The scar left behind as a result of him leaving the safety of his room is a constant reminder of the lady with the scar on her face. A terrifying reminder that he is destined to live with for the rest of his life.